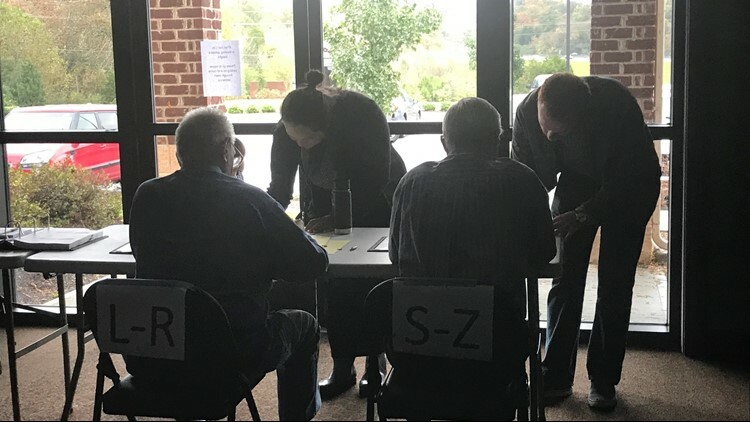 Power outages across Knox County caused multiple polling locations to lose power and use paper ballots Tuesday morning. 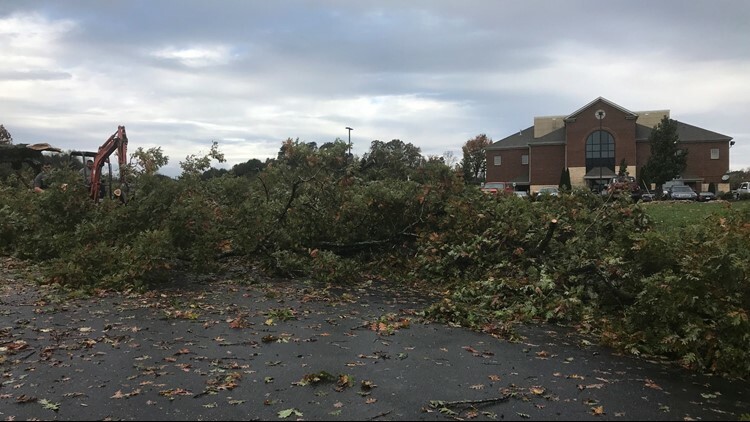 Knoxville — Strong overnight storms caused power outages across East Tennessee and downed trees in the area, affecting at least 9 polling locations across Knox County, Administrator of Elections Cliff Rodgers said. The affected locations included Shoreline Church, Sequoyah Hills School, Cedar Bluff Middle School, A.L. Lotts Elementary School, Bluegrass Elementary School, Mt. Harmony Baptist Life Center, South Knoxville Optimist Club, South Doyle High School and Pond Gap School. 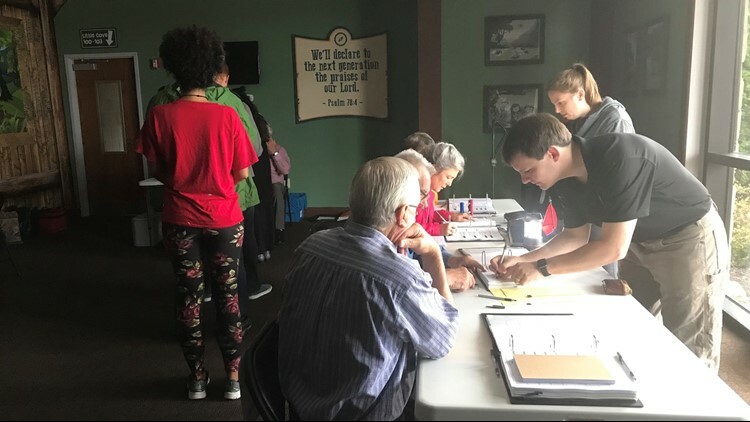 All Knox County voting precincts had had their power restored as of 12 p.m. Tuesday, per Rodgers. Everyone has been able to vote because the polling locations either have paper ballots or battery-operated voting machines that do not rely on power, Rodgers said. There have been reports of long lines though at some of these locations. He recommended that if you have flexibility in your schedule to wait a few more hours to vote. More than 50 KUB and contract crews are responding to the area to assess damage, clear trees and debris and restore power, a news release from KUB said. Polling locations that lost power due to the storm will be prioritized. 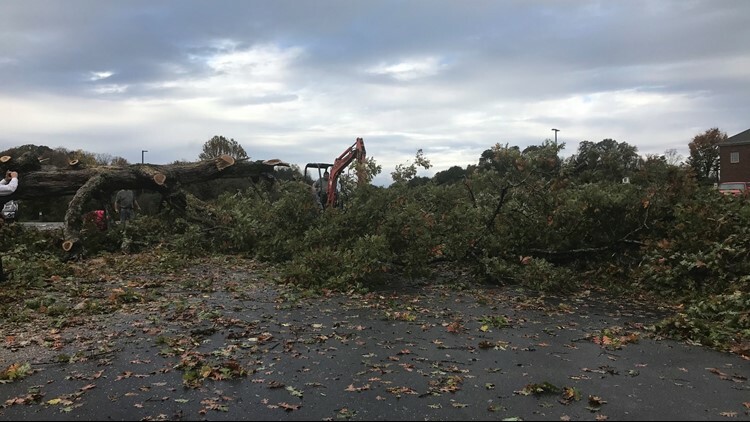 At Shoreline Church, the polling location for voting precinct 65E in Knox County, the storms knocked out power to the church, located at 9635 Westland Dr., and a very large tree was knocked down in front of the building. The location is currently using paper ballots and said they're hoping at this point they won't run out. Voters casting their ballots in rooms only illuminated by sunlight streaming through the windows. 10News has a crew at the location and will continue to update this story as we receive new information.